Now, I know it is usually recommended to think OUTSIDE the box but in this case, inside works quite well! When I stumbled upon this via The Designer Pad, I had to share. 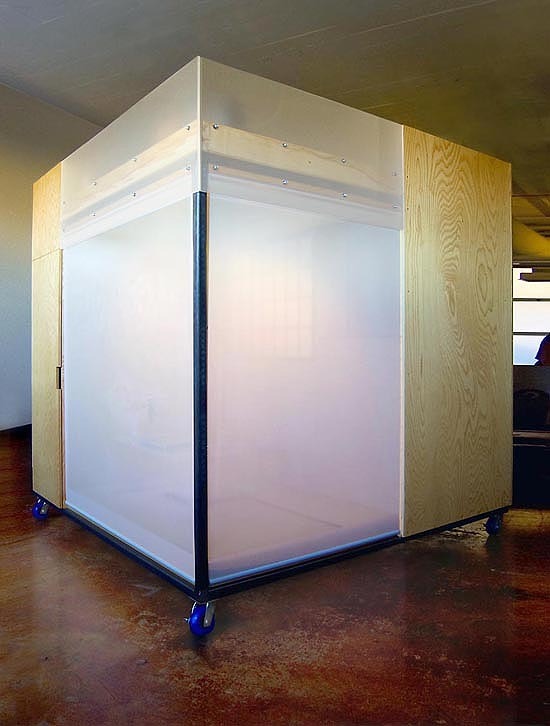 What a clever way to explore the Feng Shui principles and solve a privacy issue at the same time! Genius! 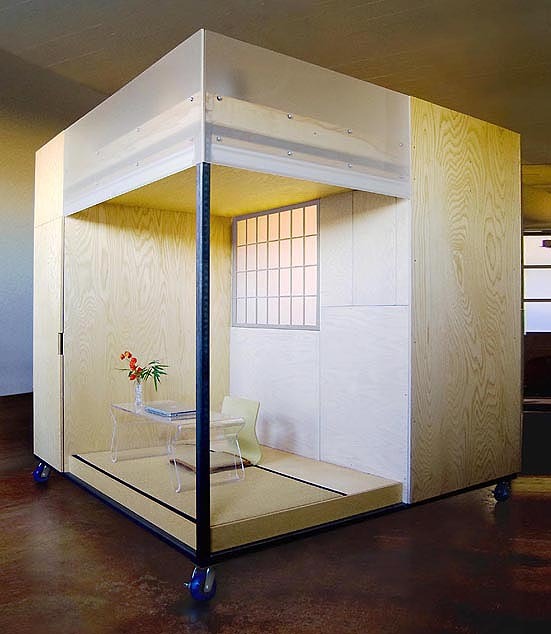 This amazing 8-ft cube belongs, appropriately, to Feng Shui master, Liu Ming, who desperately needed a personal space within his modest 1,100 work/live space. Now, he can teach his classes in the open space of his loft and have a private retreat within the same footprint. 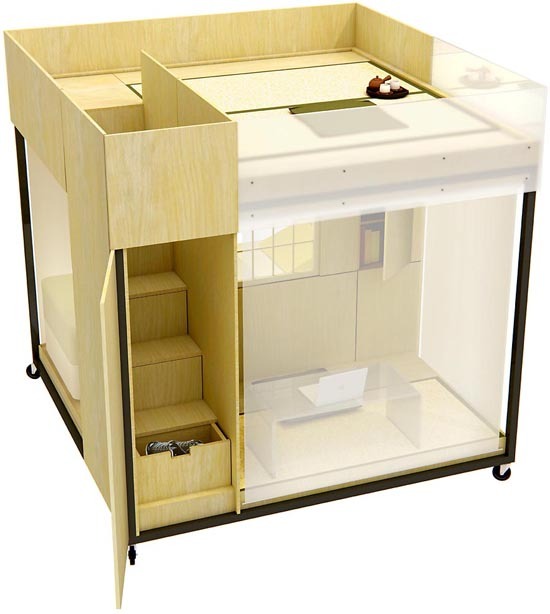 The mastermind behind the Feng Shui cube, is Toshi Kasai of Spaceflavor. How’s that for designing inside the box? Feng Shui principles and downsizing go hand in hand…so could you use some Feng Shui in your life? Want to learn more? Check out a local Feng Shui consultant here.